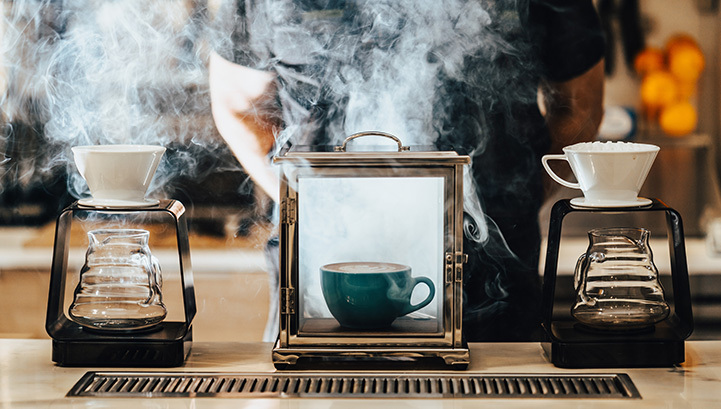 We knew we would one day offer more diversity to our coffee menu but only in a way that reflected our passion for coffee, adherence to precision and signature ingredients. And that time is now, announcing the Gourmet Latte Bar Experience at 18 Grams. Starting Friday, January 25th you can experience our rotating seasonal menu of hand crafted lattes. 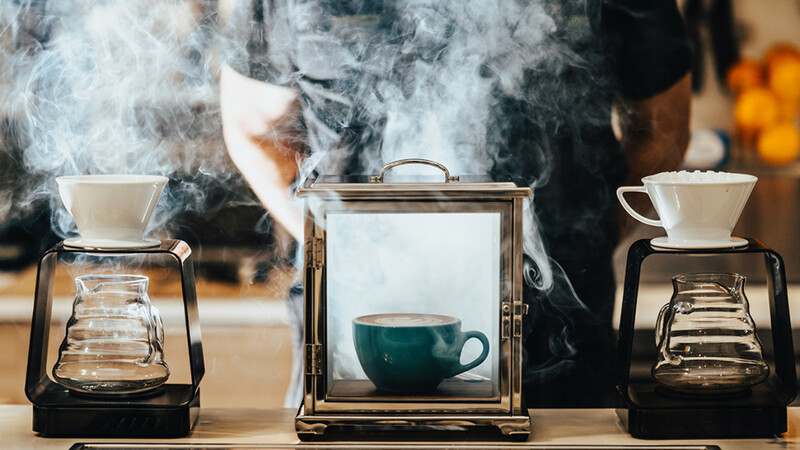 Our new gourmet lattes feature entirely house made sauces & infused milks that complement Counter Culture’s amazing coffee. We’re releasing four new exciting items for the winter season: Fire Side S’mores Latte, White Chocolate Raspberry Truffle Latte, our signature Not Your Kids Sipping Chocolate. And for the distinguished set, our afternoon Table Side Coffee Service. 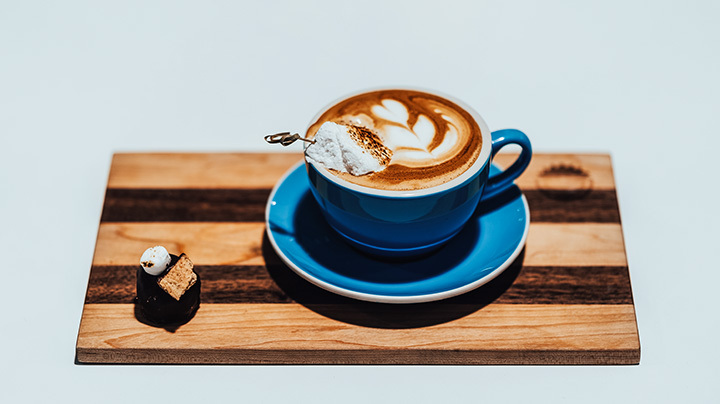 Fire Side S’mores Latte – Hickory smoked infused latte constructed counter-side, this drink features house made chocolate ganache, graham cracker infused steamed milk, espresso, and our homemade marshmallow. Paired with a graham cracker cake truffle. 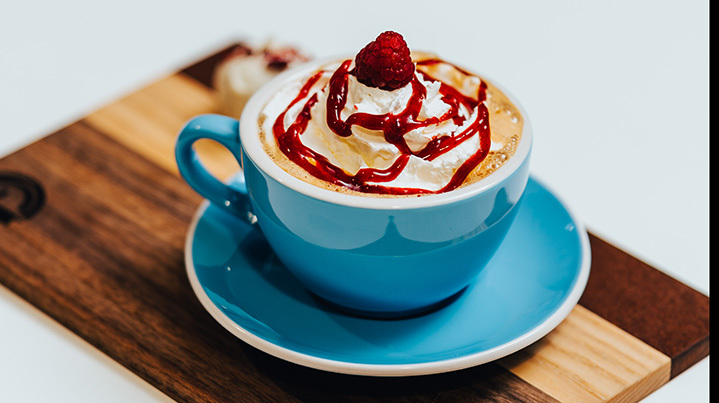 White Chocolate Raspberry Truffle Latte – Starting with a creamy base of white ganache a house-made raspberry syrup, this latte also includes espresso and steamed milk, but finished with vanilla infused whip cream and raspberry drizzle. Served with a perfectly paired raspberry cake truffle. 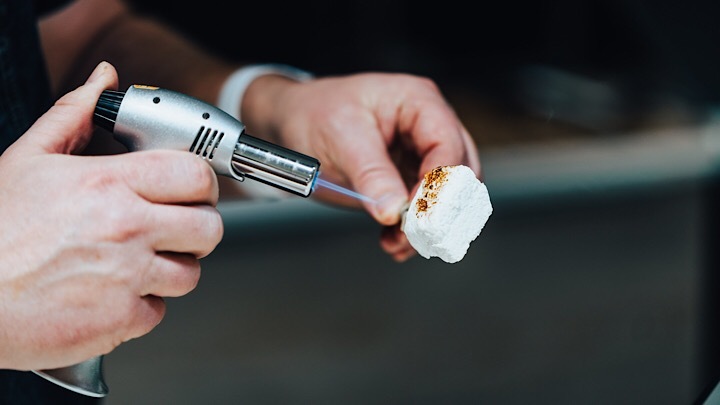 Not Your Kids (Nt.Y.K) Sipping Chocolate – This decadent drink crafted with house-made molten chocolate and garnished by a homemade marshmallow will be one of the most luxurious hot chocolate drinking experiences you’ve ever had. Afternoon Table Side Coffee Service – A signature afternoon experience for two. 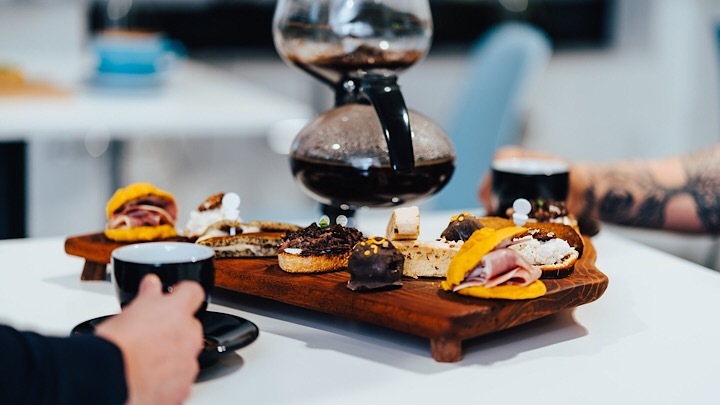 Featuring a table-side siphon preparation of Single Origin coffee served with an assortment of the sweet & savory. Including, a Pumpkin Rosemary Biscuit stuffed with the local and famous Calhoun Country ham & Raspberry, Horseradish spread, Lamb & Brie Open Faced Slider topped with Peach Chutney, Lemon Poppy Seed Blini filled with Mascarpone Creme, Candied Orange topped with Vanilla Custard, plus a selection of Cake truffles & home made Biscotti. These gourmet additions are available in limited quantities each day and served with the time and care you would expect. And reservation for afternoon Table Side Coffee service is recommended. We are so excited to bring this uniquely different experience to Culpeper and you’re invited to come experience this with us.